When we think about trip we generally try to find something which is very popular destination either locally or internationally. It is fun to explore align places no matter how much populated those destinations are. But sometimes, you get tired of hoping around and over crowdedness. If you don't have much time to travel or you are tight on budget it is always a good option to explore near by places. I always found this approach exciting and very rewarding. You have to find such places with the help of some veteran since these places are not in books and its publicity is generally mouth to mouth. One good thing about these places is relatively less commercialized. You can also explore local clothing, culture, food, habits etc. Accidently I bumped to such place recently on Pune–Aurangabad highway. While driving, I noticed some old structured temples while crossing bridge. I inquired little bit about this place in Aurangabad and came to know that those are very ancient temples of Shiva and Rama. Visiting Ancient temples was enough motivation for me to explore this place. Next weekend I drove to same place and visited temples. 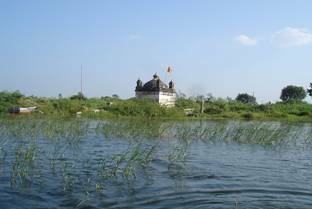 Temples were located on both sides of the river. First I went to the largest temple, which was relatively in better condition and had sprawling area covering big garden. Because of trees, place was very serene and tranquil. Middle temple was well protected with huge walls from all side. From inside you can go on top of wall and can walk over it. It was an architectural marvel. It was built based on ancient Maharashtra architectural style - Hemadpanti. In this style of architecture mainly basalt rocks are used since these rocks are easily available in Maharashtra. 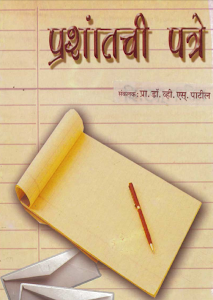 This style got its name from its creator - Hemadpant. He originally builds this type of temples in 13th century. Then he was prime minister of Yadavs of Devgiri. 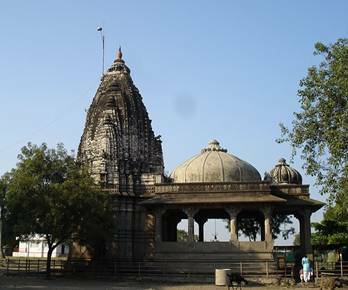 During that period his style of building temple became popular across Maharashtra. If we consider these temples are build during that period, we can conclude these temples are at least 600-700 years old. Watching temple withstanding so many years of natural and human activities, you just wonder about durability of structure. You wonder about how it might have build, what will be social/cultural situation during that time. After watching outside wall one can understand it was build for protection in case enemy attacks. Temple’s outside wall was covered with sculptures, depicting ancient tells from Mahabharata. I also noticed that not a single wall or ceiling was left without any artistic sculptures. After exploring main temple and nearby smaller temple I rested for a while in garden next to temple. 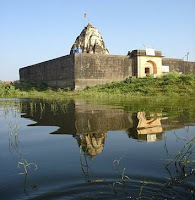 There was another temple which was half submerged in water and other temple which was got isolate because of backwater. From local guide I come to know that there was an old village and it got wiped out because of new dam. He promised me to take that temple with help of his boat. While strolling in garden I came to know this place is not just temple on river bank but very good bird sanctuary. Little bit further on river, government has build dam and its back water caused whole area getting submerged into water. Guide told me because of backwater village got displaced and causing temple remaining in ruins especially which was other side of river which does not have direct access point. Since area is cut off from rest of human world, nature flourished in this area causing large area to be swamped and well covered with grass. While going to other side of river, I noticed many birds apart from normal duck and goose. There were few migratory birds as well and I think I also watched storks!! 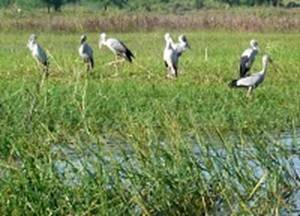 Generally storks migrate from Siberia to India in winter. It gave me immense pleasure since I went only for temples but easily be able to see some exciting birds without spending much time looking for them. Nowadays, it is difficult to watch normal birds because of rampant urbanization and human encroachment in their natural habitat. Temple across river was not in good shape only outer façade was standing and inside there was small temple. 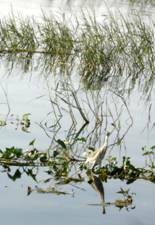 But because of no human activities around, nature has reclaimed area and there was tall grass all over places. On way back we purchased one big fresh fish from nearby selling fisherman. Due to dam, sizes of fishes are bigger than compare to normal river water. We also asked him if someone can cook for us and we will pay for cooking and he readily helped us to find one family. They gave us nice hot and spicy fish curry/fry along with bhakri! It was memorial meal because of hot fish with cold breeze flowing. After food it was very difficult to return back to Pune. But anyway normal routine was awaiting and so I have to come back. But trip has accomplished main objective of getting away from routine and unwind. I will definitely suggest exploring nearby local places; you never know you might find something new and refreshing.